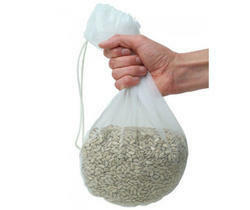 Leading Exporter of bottom sprout bags from Mumbai. The Bottom Sprout Bags are made up as per specification to make discharge easier and faster.This variety is made-up by using quality grade raw material that is obtained from reliable vendors of the marketplace. Offered diversity is highly appreciated amongst customers for its lasting nature, specific designs and attractive colors. Looking for Bottom Sprout Bags ?